Late model vehicles have keyless entry features made possible by the so called transponder key or key fob. Although this feature can be a blessing at times, key fobs can also be the source of many hassles and unnecessary problems. Transponder keys are generally quite a sturdy piece of kit, but nevertheless they too get affected by temperature, humidity and condensation, mechanical damage, as well as aging and internal electronic errors.We are covering Car locksmith Services for all big cities in the East Bay Area CA - Oakland, Berkeley, Concord, Fremont, Richmond, Hayward, Walnut Creek and all other smaller cities from the Area. Each of these issues can render your key fob useless, at least for the time being. A faulty key fob doesn't necessarily mean you have to get a new transponder key as the one you have might be perfectly fine apart from its frequency emitter i.e. the actual transponder bit, also known as the chip. This is good news for you and your wallet as what you need done is simple key fob programming. Key fob programming is one of Multi Locksmith’s favorite specialties. 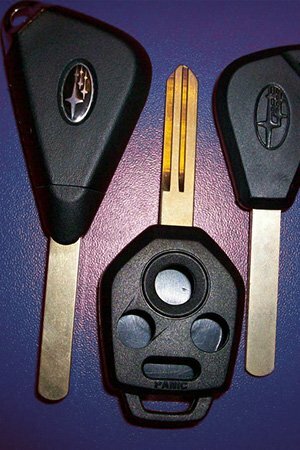 We have the technical capacity and expertise to program, reset or reprogram any type of transponder car key for any make and model vehicle. Programming and reprogramming car keys is quite a complex and technical procedure which requires plenty of knowledge and expertise about car locking systems as well as computers and software. These however are no problem for our specially qualified programming technicians who are also skilled auto locksmiths. Our locksmith team will be with you within thirty minutes of taking your emergency call. Swift and adequate response is exactly what customers require in one such situation. The guys will arrive fully equipped with the necessary frequency modulators, portable computer devices and all other gadgets and gizmos needed for your transponder key programming. The fact that your transponder key programming will be done by qualified specialists like Multi Locksmith means no hassles and no waiting around. The entire reprogramming process as well as any additional tune ups will take place on site – our technicians are fully equipped for field work. This means you are back on the go, the moment we have your key working properly again, which usually happens in the space of minutes. We know that the need for key fob programming is an unexpected and untimely issue, this is why Multi Locksmith offers customers fair, adequate pricing that will not put a dent in their budget. In order to have you back on the road without any delays or further hassles, please provide our attentive customer consultants with sufficient information when securing your service.